This site is under construction and will be fully live and functional soon. We believe Christian Entrepreneurs deserve the opportunity to network worldwide with each other to multiply profits, increase opportunities, start new businesses, exchange strategies and help each other out. 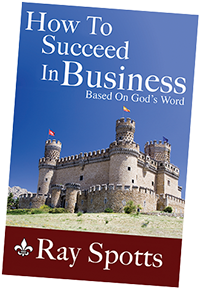 God’s Anointed Entrepreneurs helps aspiring and seasoned Christian entrepreneurs expand their borders. It is our vision to help teach, train, fund and network Christian entrepreneurs to increase business profits (see About Us). This will also be an opportunity for those of you that have experience in the marketplace to store up treasure in Heaven by helping other Christians succeed in their business ventures (see Mentoring). Mastermind Groups are extremely effective for beginning businesses and seasoned businesses alike. It is our intention to set up these groups worldwide (see Mastermind Groups).